Everyone is afraid of something. Whether your fears are irrational or not, it doesn’t matter; we can’t help being terrified of the things that scare us. However, that doesn’t mean you can’t ever move past your phobias. Sometimes, you just have to face your fears to realize they’re not as frightening as they might seem. It’s not easy, but these kids who were afraid of cops managed it just fine. 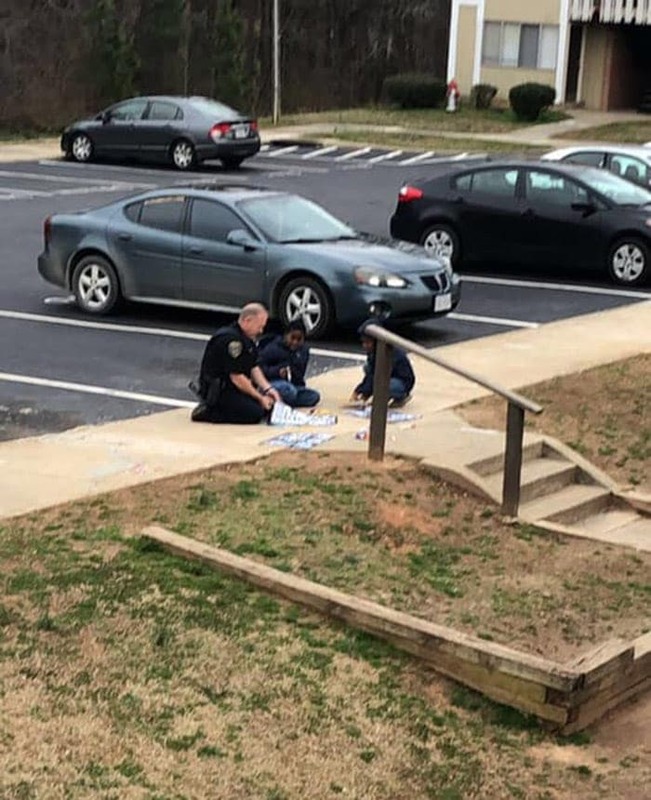 One thing that Iesha Roper-Boswell and her children weren’t expecting to happen on a February afternoon was getting evacuated from their apartment because of a gas leak. As the authorities were alerted and the situation dealt with, the family had to wait outside along with the other residents. Eventually, it was decided that the leak wasn’t an issue and everyone could return to their homes. However, before they did so, the police wanted to ensure that everyone felt safe. As the cops made their rounds, Roper-Boswell was approached by C.B. Fleming. The man was a 15-year veteran with the South Hill Police Department, and he was still as devoted to his job as the day he started. When he approached the mother, he was glad she was doing okay, but something she told him left him concerned. She revealed that the children in the area were wary of cops, to the point that some were actually afraid of them. Iesha told him this included her daughter and niece, so Fleming decided to do something that would hopefully rid them of their fears. Wanting the kids to feel at ease, he went over and sat down with them. Rather than talk to them or give them a lecture, though, he started playing with them. This took the children by surprise, but it had the desired effect. Soon enough, the kids felt comfortable around Fleming, despite him being a man of authority, and enjoyed their playtime together. Roper-Boswell was impressed and amazed by Fleming’s kindness and started filming him, wanting to share his big heart with the world. 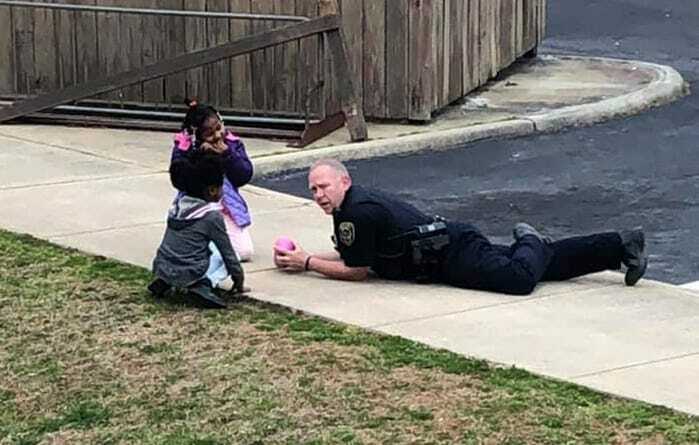 There aren’t many cops who would go to that much trouble to reassure some children. This is just one of many instances where Fleming has attempted to connect with his community. His desire to go the extra mile has landed him with the nickname the South Hill Batman, and we think it’s very well-deserved.